This may be one of Candice Olson’s more daring designs, and not just because it was done for her mom. (Though we do admire her bravery). 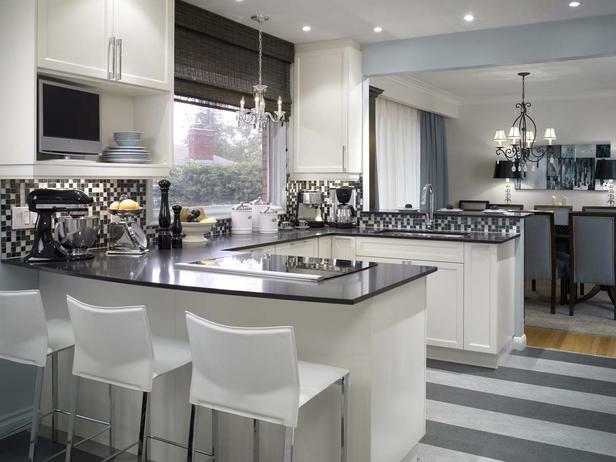 From the cabinets, to the chairs to the striped carpet, the room is blanketed in gray and white. Elegant chandeliers hover over the sink and the nearby dining table. New appliances and stone countertops make this room decidedly modern. Hope she liked it.